Today, fraudsters are organized in groups, possess synthetic or manufactured identities – which in many cases are stolen. They are also using hijacked devices unknown to the owners. All of this makes it very difficult to detect modern fraud . 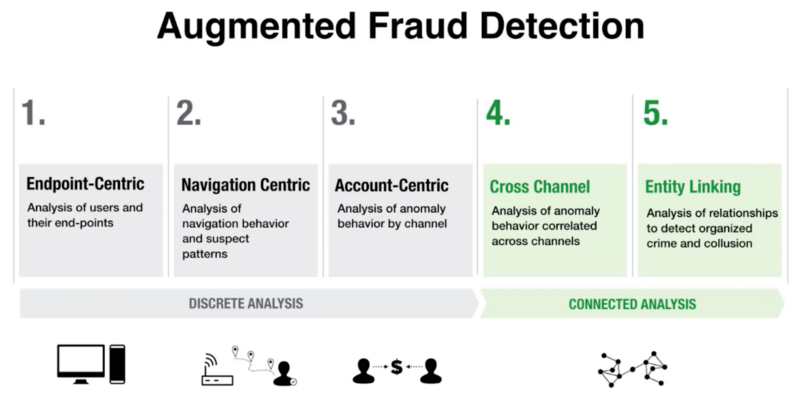 Traditional fraud detection methods use discrete analysis, which can only relate two to three pieces of information at a time, like common IP addresses, common shipping addresses or a common bank account. After looking at Sheila’s transactions, they find a similar unusual large purchase at a jewelry store. Sheila confirms this is fraud as well. She also confirms other fraudulent transactions. A similar pattern also then emerges with others like Karen in the image above. 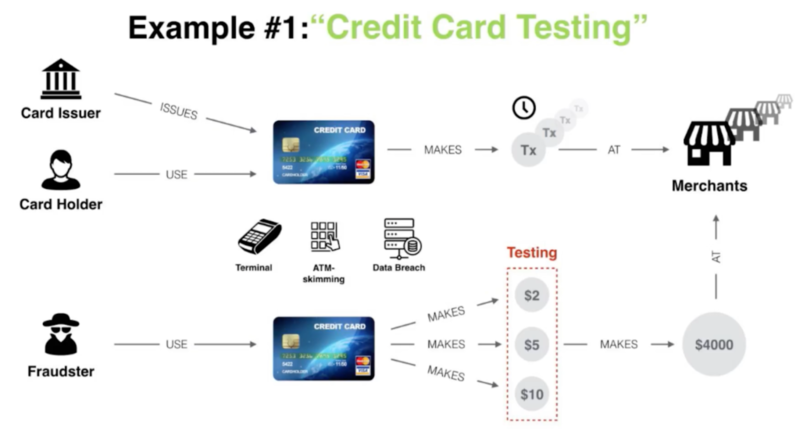 So how does Neo4j fit into an overall fraud prevention architecture? Most large financial services companies are already employing big data analysis to detect fraud. In such a scenario, multiple data sources including transaction data, merchant data, etc. is streamed into a data lake where data scientists analyze macro data patterns and find instances of fraud. This is where Neo4j comes in. Neo4j can also find all instances of the particular fraud pattern very quickly within the entire dataset – often within seconds to minutes – saving enormous amounts of time and making data scientists more productive. 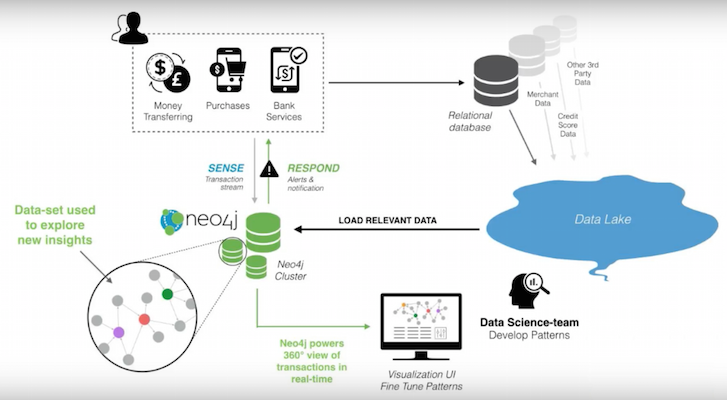 Neo4j is being used by multiple Fortune 100 financial services firms, major government institutions, and top-tier retailers for connected graph analysis. 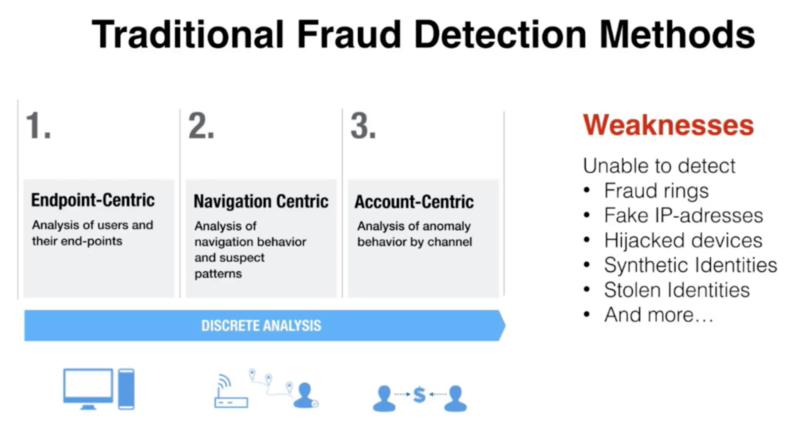 To hear a more in-depth presentation on fraud and how Neo4j fits in, please watch our hour-long fraud webinar which includes a demo. 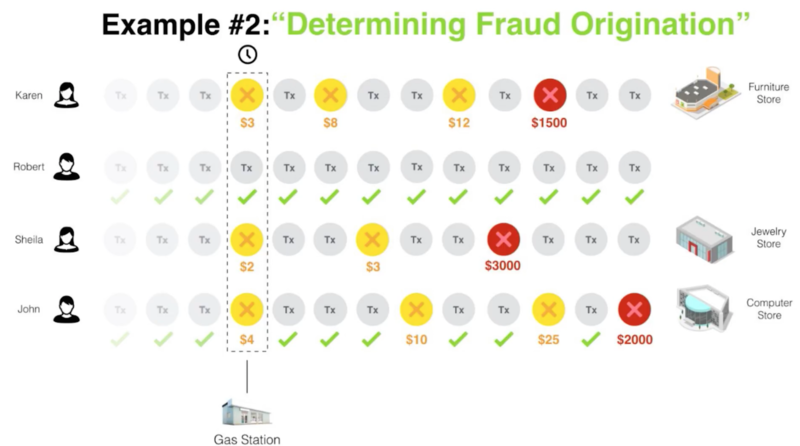 I’d love to hear your feedback and comments on this and other fraud prevention content. 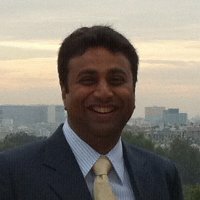 Please email me at navneet.mathur@neo4j.com.